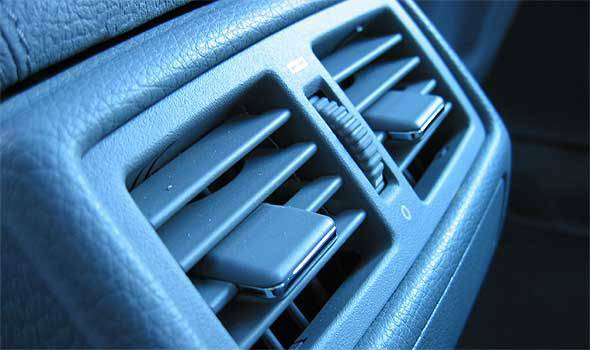 Keeping cool: How do you take care of your car's air-con system? While we're getting a little reprieve from the summer heat because of the typhoon, the months of April and May are usually the time when we are most appreciative of our car's air-conditioning system. It is also the season that raises this question: Are you taking care of your air-con system properly? There are two schools of thought when it comes to maintaining a car's air-con system. The first dictates having it cleaned every year to avoid a build-up of dirt and grime within the system's internals. I learned about this while doing a Day In The Life Feature for Top Gear Philippines at an air-con maintenance shop in Quezon City a few years ago. The other camp is against cleaning the aircon's internals--unless there is a significant drop in cooling power. I was alerted by editor in chief Vernon B. Sarne about this when a friend of his from the cooling industry said that having an air-con system taken apart once a year is a bad idea. Warranty booklets from the late-1990s (like the one that I have in my 1997 Mitsubishi Lancer) say that periodic cleaning is a must. Unfortunately, I never followed the schedule and my air-con compressor suddenly died after 10 years of daily use--having never been cleaned. After that costly learning experience, I became an advocate of yearly air-con maintenance. It is advised to maintain the proper freon levels, and all of the moving parts (like the blower) to be free of muck and dust. Parts like the evaporator and condenser should also be free of dirt so that heat exchange remains efficient. Clogged tubes that lead in to and out of the expansion valve can also cause corrosion and leaks in the system--hence, the importance of cleaning the system. This, however, might be self-serving advice as it was given to me by the manager of the service shop. Of course he would want customers to come in once a year! Anyway, this process entails getting in and behind a car's dashboard. Understandably this task is tougher with current autos. Whether to open up an air-con's guts once a year is up to the owner. But if an air-con fails, there are still ways to bring a dead compressor back to life. All you need to do is find a specialist who can handle the job, and compressor internals that aren't too worn out.